On Sunday, November 18, 2018 the Chosun Taekwondo Academy located in Warwick, NY (lead by Grandmaster Doug Cook) hosted a Memorial Class for the late Grandmaster Richard Chun. The event was from 12 PM – 2 PM at the Chosun Dojang. Many schools from various organizations and Kwans across taekwondo were in attendance. Several TPM students attended. The class began with Grandmaster Cook giving a short speech about Grandmaster Chun and his feelings toward GM Chun, followed by a short video on the life of GM Chun. The physical aspect of the class began with Chosun Master Terrie Testa leading stretching. After which we performed (lead by GM Cook), Basic punching, 8 Basic motions #1 & #3 (Chosun), Hand techniques (Son Gi Sool), Stepping basics, One Step sparring, 3 Step sparring, Grabbing defense (Ho sin sool). The class ended with Poomsae: Kibon Oh, a finish which couldn’t be more fitting for traditional taekwondo and for the teachings of Grandmaster Chun. 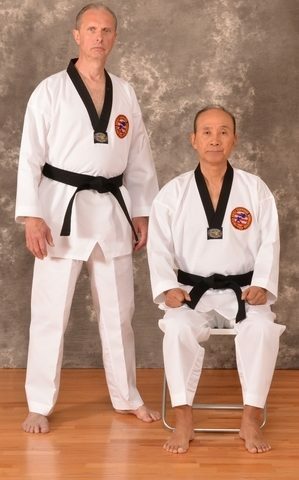 For GM Chun said “without form there is no traditional taekwondo.” Thank you Kwanjangnim Chun your teachings shall live on, and you are always in our memory.